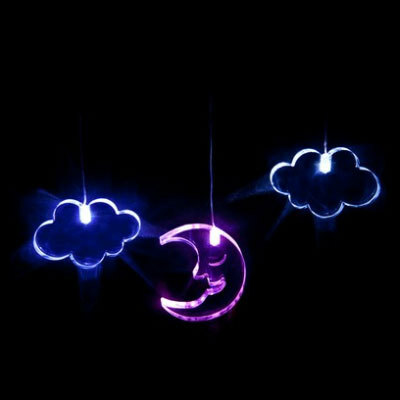 Moon and Clouds Glow Light Mobile | Fantastic Mood Lighting for Your Room! Add a magical touch to your room! Creates a tranquil soothing glow! 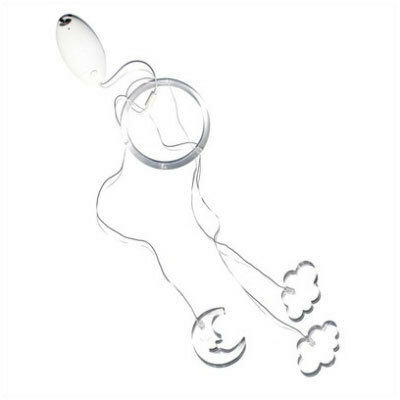 Your stylish Moon and Clouds Glow Light Mobile will morph gently through an array of gorgeous illuminated colours. A beautiful and contemporary addition for your bedroom! 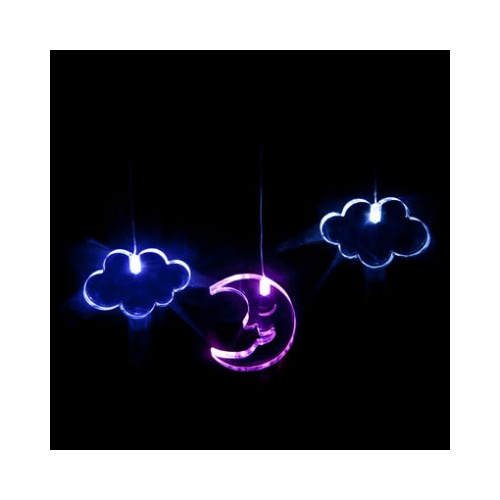 Consisting of three 1.5cm-thick acrylic shapes (a moon and two clouds) your multi-colouring changing glow light will look fantastic in a variety of indoor settings from your nursery to your child's play room! Suspended by three micro-wires from an acrylic ring and battery pod, the full length of your mobile is between 70-75cm. Perfect for above your bed or dresser! A novel idea and imaginative gift! Also available in 'spaceman' and 'butterfly' designs.